Home » News archive » THE FALLEN S…e." THE FALLEN STATE: To Release New Single "American Made." “American Made” is released through Last Man Music onthe 8thMarch 2019. 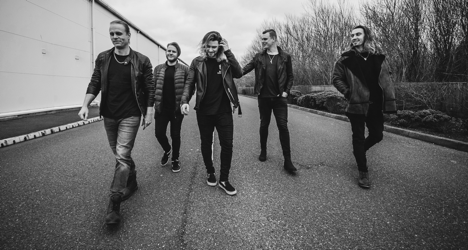 The single is the perfect showcase for the UK five piece rock act – a band with a mutual love for powerful, anthemic and beautifully executed rock. The Fallen State’s soundscape blends grooving and ruthless rhythms courtesy of drummer Rich Walker and bassist Greg Butler with the exuberant and soulful voice of singer Ben Stenning, the artful emotive phrasing of lead six-stringer Jon Price and a Dan Oke inspired harmonic wall of warm, contemporary rock guitars.